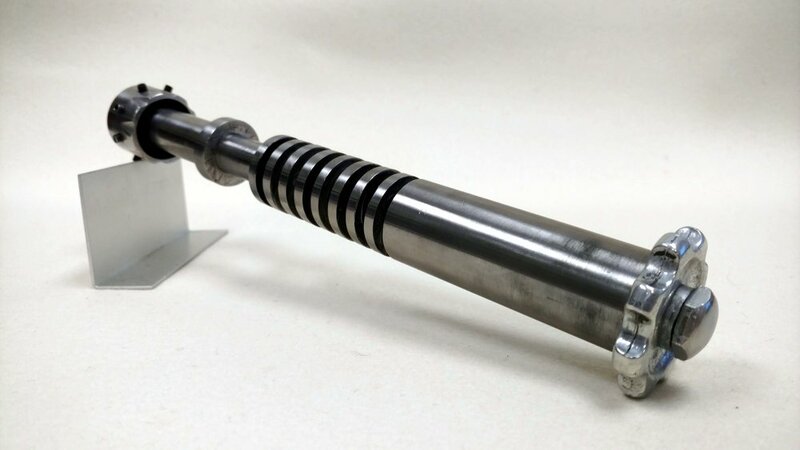 In the Star Wars fan community building your own lightsaber prop can be as momentous as a Jedi building their own saber, I have heard and read many fans mention how much they would like a real metal lightsaber hilt but cannot make one without access to a lathe. I challenged myself to build an all-steel saber hilt without a lathe to show that it can be done. 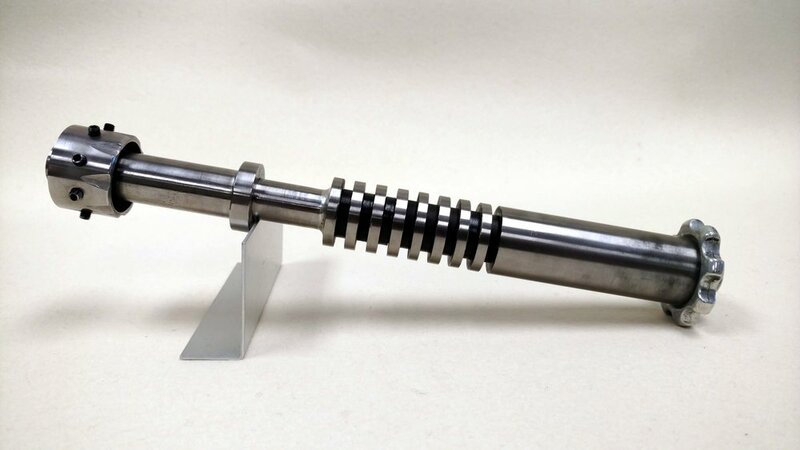 Based roughly on Luke's Return of the Jedi saber, I used DOM steel tubing of concentric diameters, cut and stacked to make up this lightsaber hilt. In the video on my YouTube channel I show how I cut the steel, tricks for keeping things centered and cut straight, and several methods for joining the pieces together.